Tough. Ready. Scalable for NAS. IronWolf Pro is built to be always on, always accessible. 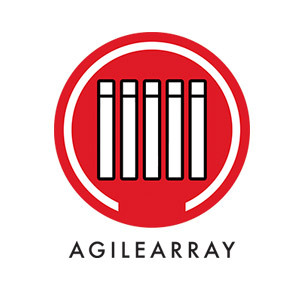 AgileArray technology, combined with standard Rotational Vibration (RV) sensors, make for optimal reliabilty and system agility. Plus, you can take advantage of multi-user technology, which allows extreme workload rates. Be ready to scale up! 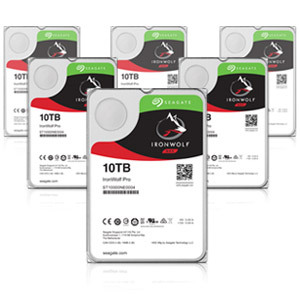 IronWolf Pro is optimized with AgileArray, built for NAS to provide the ultimate NAS experience. It features dual-plane balancing with RV sensors for consistent performance, RAID-optimized firmware and advanced power management.